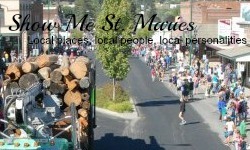 There’s always a little something for everyone in St. Maries, and the next two days’ events are proof of that. Wind down from your weekend at a community picnic tomorrow and start up your work week by admiring classic and antique planes at the St. Maries Airport Monday. Yeah, that’s how St. Maries does hot summer days – with unique events for all types of interests. Friends, family, neighbors and guests are invited to join current and previous residents of the Benewah Valley for a picnic. The annual reunion-style gathering, which draws more than 100 people each year, usually includes a parade, potluck lunch, games, raffles and silent and live auctions. The event, which is in its 40th year, is organized by the Benewah Valley Association. This year’s event is Sunday, July 12. The parade begins at 11 a.m. at the old school house, located approximately 11.5 miles up Benewah Creek Road. 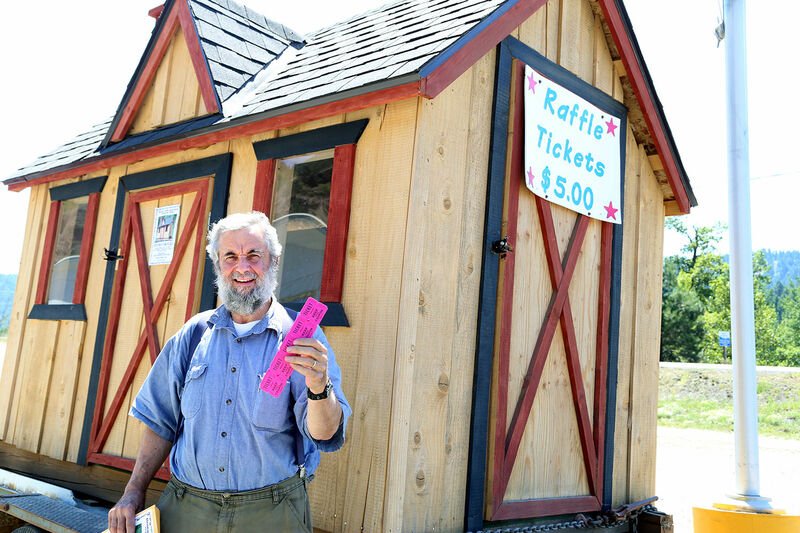 Steve Cuvala, a board member for the Benewah Valley Association, has raffle tickets to sell for the playhouse behind him. The winner will be drawn at the annual picnic July 12. Anyone can participate in the parade. Creative entries whether they include a decorated four-wheeler, wagon, pets, and old cars are encouraged. The person with the most popular entry will receive a prize. The parade is followed by food, games and auctions. Those who attend are asked to bring a dish to share. Awards are also given to the youngest and oldest attendees and the person who travels the farthest. People travel from as far as Washington and Montana to attend the picnic each year. A variety of auction items are also up for grabs this year including sporting equipment, home décor, gift certificates to various local restaurants, loads of gravel and cords of firewood and several gift baskets. The winner of the playhouse raffle will also be drawn and announced at the picnic. The playhouse, which was built by Chad McMaster, is located in the parking lot at Harvest Foods in St. Maries for viewing. Each year a volunteer builds a playhouse or greenhouse for the organization to raffle. Tickets cost $5 each or $20 for five and can be purchased at various businesses throughout St. Maries. The winning ticket-holder need not be present to win. The event is the primary fundraiser for the local group. Proceeds are primarily used for maintenance, upkeep and improvements to the old school house and grounds, which now serves as a community center. Funds can also be used to help a local resident in need. Call Bill Fletcher at (208) 245-3464 or Mary Bedwell at (208) 245-4844 for additional information. More than a dozen antique and classes airplanes will land at the St. Maries Municipal Airport Monday (July 13). Around 30 airplanes are expected at 11 a.m. as part of the Pacific Northwest Air Tour. “Not all of them will be older planes but the majority of them are,” Theresa White said. The Puget Sound Antique Airplane Club is organizing the tour, which begins in Richland, Wash.
Rich Alldreege said this will be the first time the tour has come to St. Maries. He said six or eight years ago the tour had planned to come to St. Maries, but had to change plans at the last minute because the runway at the airport was being resurfaced. The tour seeks to recreate the historic barn storming tours of the 1930s that brought aviation appreciation to communities across the nation. Some of the airplanes that will be a part of the tour include: Pre-war Howards and Interstates; Stearman and Fairchild military trainers; and numerous post-war Aeronca, Beechcraft, Bellanca, Cessnas, Pipers, and Taylorcraft airplanes. The planes are expected to depart St. Maries at 1:30 p.m. Members of the public are invited to come to the airport to see the planes and visit with the pilots, Ms. White said. Lunch will be available beginning at 11:30 a.m. for $8 and includes pulled pork, chips, a dessert and a drink. Other stops on the tour will include Bonners Ferry (July 13 and 14), Crystal Lakes (July 14), Kalispell (July 14-16), Kamiah (July 16), and Lewiston (July 16 and 17). For more questions about the St. Maries event, call Carol Koelbel at 245-2914.